Papers in Finland on Friday discuss the need for more support in classrooms, a bid to remove limited company share capital requirements, and cooling storms. School started on Thursday in most areas of Finland and local paper Vantaan Sanomat features an article on a poll carried out last spring that found that teachers and parents in the capital region city of Vantaa agree that teachers and pupils need more support in the classroom. Some teachers responding to the parent association/teacher union survey said that classrooms these days are very restless, even chaotic. Among primary school teachers, 36 percent said that classroom support was not sufficient, while 60 percent of secondary school teachers said pupils were not being given the support promised them by Finnish law. Comprehensive education in Finland follows the principle of inclusivity. All children are taught together in the same classroom, with a system of three tiers (general, enhanced support and special needs education) designed for pupils that might need more help. VS interviewed two teachers who wished to remain anonymous. They say that the idea of a shared classroom meeting all of the kids' needs is a great idea in principle – and an illusion in practice. This is because the teachers are alone with the children for more of the school day. The school's few special teachers and assistants are spread thin; they only have a few hours of time a week to help the teachers in the classroom. "It works if there are two adults in the classroom. It would be incredible if we teachers could always work with a partner," said the first teacher. The second teacher says that of the 20 children in her classroom last year, one-quarter needed either enhanced or special needs support. Both agree that the number of children in school that need more support in the classroom is on the rise. In their 30 years on the job, they have seen major changes in the Finnish school dynamic. "Yelling, getting up and wandering around, breaking pens and pencils, throwing things, swearing… We often have to tell the pupils that they are not allowed to speak to us that way," they say. The teachers tell VS that penny-pinching in basic education will end up bringing a much higher price tag for society in the future. "Savings will mean more marginalization. Average and bright pupils will also lose their interest in studies because we don't have the resources to pay attention to their needs and so they are forced to underperform." The publication Yrittäjät from the Finnish Federation of Enterprises, a group of over 100,000 entrepreneurial companies, has a story this Friday on a proposal from the Ministry of Justice to do away with the 2,500-euro share capital requirement that is currently required in order to establish a private limited company (osakeyhtiö or Oy) in Finland. The federation says it supports the idea. "The Finnish economy is sustained by entrepreneurial endeavours. The proposed change could help micro businesses in particular. It is important that they too can benefit from the advantages a limited company can bring," Minister of Justice Antti Häkkänen is quoted as saying. Removing the minimum capital requirement would also facilitate digital registration with the Finnish Trade Register and tax authorities and enhanced automation of the process. The ministry also proposes that the current requirements for accredited auditor or other confirmation of share capital payment would in future only apply to public limited companies and those start-ups with a minimum of 80,000 euros in share capital. An end to the heat? And Finland's most widely-circulated newspaper, Helsingin Sanomat, ends the week with a weather report: Friday might be the summer's last hot day, as weekend thunderstorms are moving in. A storm front is moving in from Sweden and will make some noise up and down the coast of Finland tonight, the paper writes. 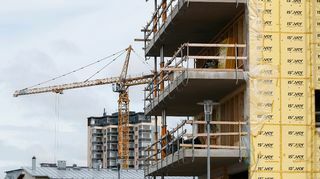 "Office workers in the capital city area will make it home before the thunder starts booming," Jari Tuovinen from the Finnish Meteorological Institute tells HS. He warns that gale-strength winds will accompany the storm near the northwest cities of Tornio, Kemi and Oulu, and in Finland's Ostrobothnia regions. "It will probably topple some trees," Tuovinen says, noting that winds will pick up in the south, too. The storm will dissipate and move east overnight, and Saturday is expected to be sunny and warm again in most areas. The low pressure front could still bring some showers and lightning to the west coast. "The south may get some more rain and thunder late Saturday night, and Sunday will see variable weather in the south," Tuovinen tells HS. Saturday may still see very warm temperatures in Finland, but by Sunday, temperatures are predicted to fall below 20 degrees – even in the south.